There's something fishy about Ocean-Opoly. It's all thefun of a large-scale aquarium without having to set it up or clean it. Thisgame features all kinds of ocean life with details about each one on the backsof the deeds. You'll swim around the board as a crab, fish, shark fin,lobster, starfish, or seahorse. Collect your blocks of water and turn them infor the big fish to collect the most sand dollars and win the game. 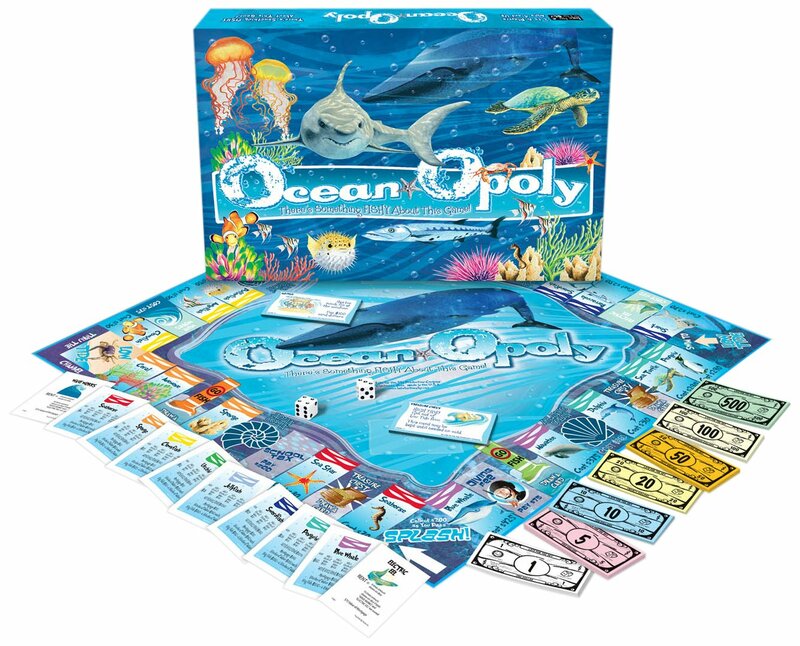 From theManufacturer Ocean-Opoly has all the fun of a traditional property tradinggame with some underwater twists. You'll swim around the board as a crab,fish, shark fin, lobster, starfish, or seahorse. Oceanopoly will soon become afamily favorite in your household or classroom.